Blake began his journey with Care Plus Group when he began volunteering with Hope Specialist Services in February 2017. 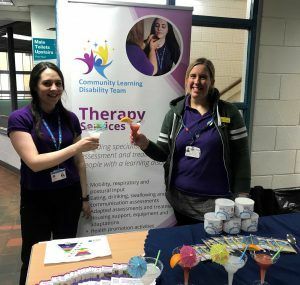 At the time Blake was working as a Fitness Instructor, so he understood the importance of ensuring people are treated as individuals, whilst at the same time motivating them to achieve personal goals. 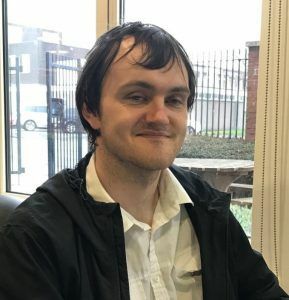 Whilst volunteering at Hope Specialist Service, working with individuals who were overcoming or coming to terms with physical difficulties, Blake realised that he would like to pursue a career within Health & Social Care, and was delighted to be offered a fixed term contract as a Trainee Rehabilitation Assistant. Helping service users to progress and overcome personal barriers has really inspired Blake. Working as a Trainee Rehabilitation Assistant led to Blake gaining a great deal of knowledge and skills, which added to his confidence. He also learned a great deal about working in a team, which is paramount within the role. 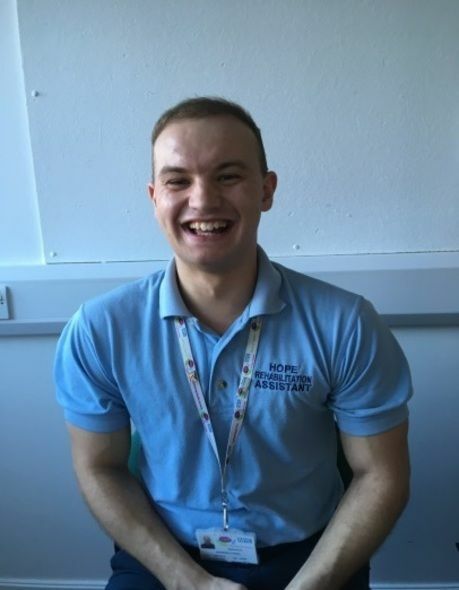 Blake has more recently been successful in gaining a substantive role as a Rehabilitation Assistant within Hope Services, which he is delighted about. Blake has aspirations for a long term career within Health & Social Care. 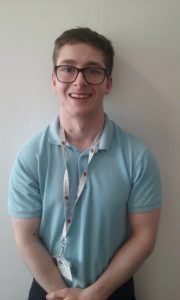 He has a particular interest in nutrition and diet and hopes to be able to work towards a career as a Dietician in the long term. 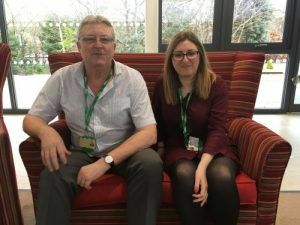 Amanda Thomas, Apprenticeship Development Officer says, “It has been a pleasure to support Blake during his fixed term (Intermediate Labour Market opportunity) contract at Hope Specialist Services. Blake has embraced the role and has worked hard to achieve his recent success. I wish him well in his future endeavours and I am confident he will have a long career within Health & Social Care”.